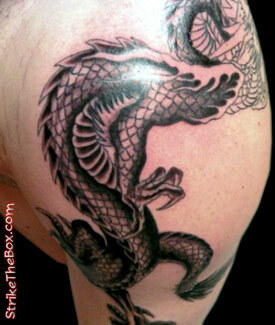 Description: The tattoo artist and I decided and this design. 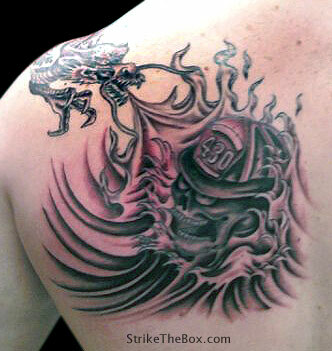 The dragon crawling over the shoulder with fire and skull with my helmet on surrounded by water. I will be adding more someday.